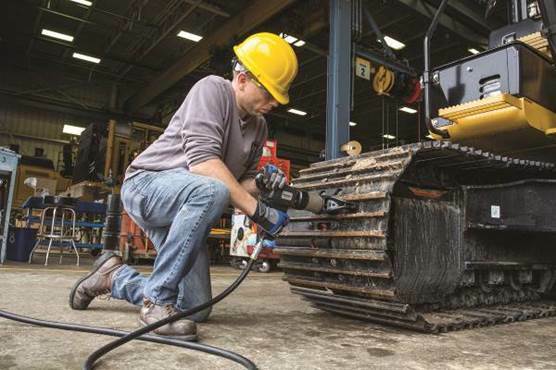 Tough new pneumatic torque wrenches designed for optimum safety, simple operation and outstanding reliability have been introduced to the Enerpac family of controlled bolting solutions. The new Pneumatic Torque Wrenches – in maximum torque capacities from 1356-8135 Nm (1000-6000 ft lb) – share the global service, backup and reliability of Enerpac tools in widespread use throughout South East Asia and worldwide. Designed to optimise service life and minimise downtime, the square drive wrenches incorporate low-friction planetary gearboxes to minimise wear and extend uptime. They also feature commonality of motors and parts to facilitate maintenance in demanding industries including mining, oil and gas, construction, transport, ship building, manufacturing and power generation.